I head the firm’s School & Charities practice and I specialise in education and employment law. I advise on a range of employment and pastoral issues, in particular when the reputation of a school (or other non-school charity) is at stake. An area of particular interest for me is safeguarding and I have spoken widely on this subject at a number of national conferences and I have also written widely on this and other issues affecting schools and charities. A major part of our practice is in relation to the management of allegations against staff as well as peer on peer abuse, including guidance on making appropriate referrals. I also advise on issues relating to the Teachers’ Pension Scheme. My approach is to take a strategic overview with the client and to provide practical and straightforward advice that will enable the client to reach its objectives and to minimise any risks. Joanna Lada-Walicki heads the practice and attracts praise for her level of experience and knowledge of the independent sector and for being 'sensible and thorough'. Clients say, "Joanna is extremely knowledgeable in every area on which she has advised and steered us. Her diligence is remarkable, she covers the tiniest details and ensures no stone is left unturned"
Market observers note that Joanna Lada-Walicki is "really responsive and technically very good." 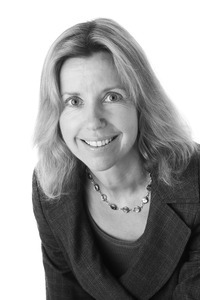 Joanna Lada-Walicki has an active education practice covering disputes relating to staff members and highly sensitive safeguarding and abuse matters. Sources say,"Her experience is very evident. I am always amazed at how quickly she gets back to me - she is highly efficient." Joanna Lada-Walicki is praised by clients as a "well-informed, highly professional and insightful practitioner." "Joanna has been excellent in the advice that she has offered, and has a clear understanding of the sort of issues that we have had to deal with."